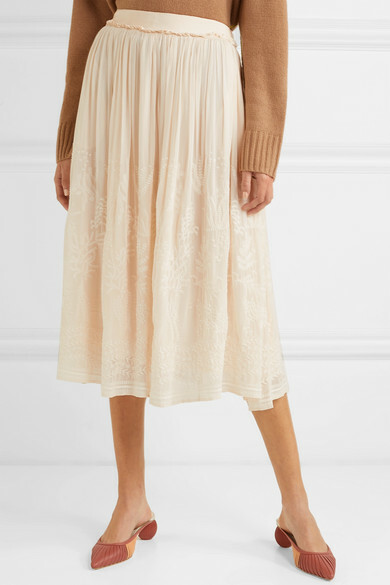 Vanessa Bruno's 'Lise' midi skirt is so light and airy, it's perfect for balmy summer days. 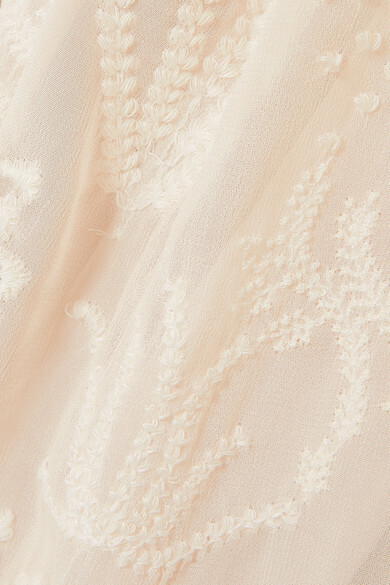 It's made from voile intricately embroidered with delicate flowers. Tuck a sweater into the ruffled elasticated waistband when the evening draws in. Shown here with: &Daughter Sweater, Chloé Shoulder bag, Cult Gaia Mules.